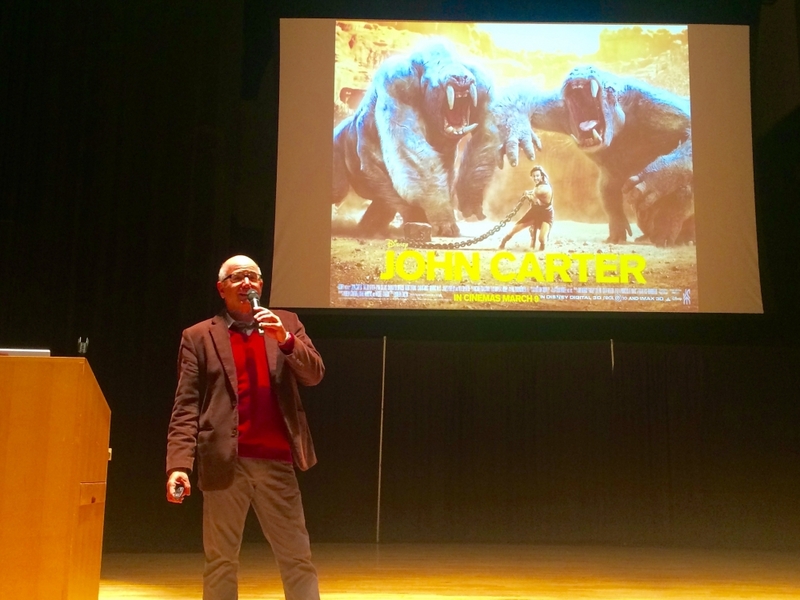 Dr. Norman Ludwin, UCLA Extension School professor, Local 47 member, orchestrator and author, spoke to a large audience of students and community members on Sunday, Oct. 4 at the Fenway Center in Boston, Massachusetts. 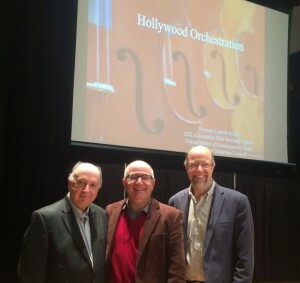 Patrick Hollenbeck (President of the Boston Musicians’ Association), Dr. Norman Ludwin, and Northeastern University music professor Bradley Hatfield. Dr. Ludwin gave a behind the scenes look at the work of orchestration techniques and methods routinely used to help bring a film composer’s score to life. He also described the daily working life as an orchestrator (and bass player) for several of Michael Giacchino’s film scores, having recently worked on the films “Inside Out,” “Jurassic World,” and “Star Trek: Into Darkness.” Along with examples of successful orchestrations, he also shared side by side comparisons of “bad orchestrations” and followed up with alternative techniques. This entry was posted in All News and tagged Boston Musicians' Association, Norman Ludwin on November 18, 2015 by admin.